Hello Chronotrader people, here is a superb example of a currently hot watch, a Rolex 1016, Mk 1 matte dial, from 1968, in top condition. Follow the link for more pics and to check our latest arrivals, 8 new watches on the site today. 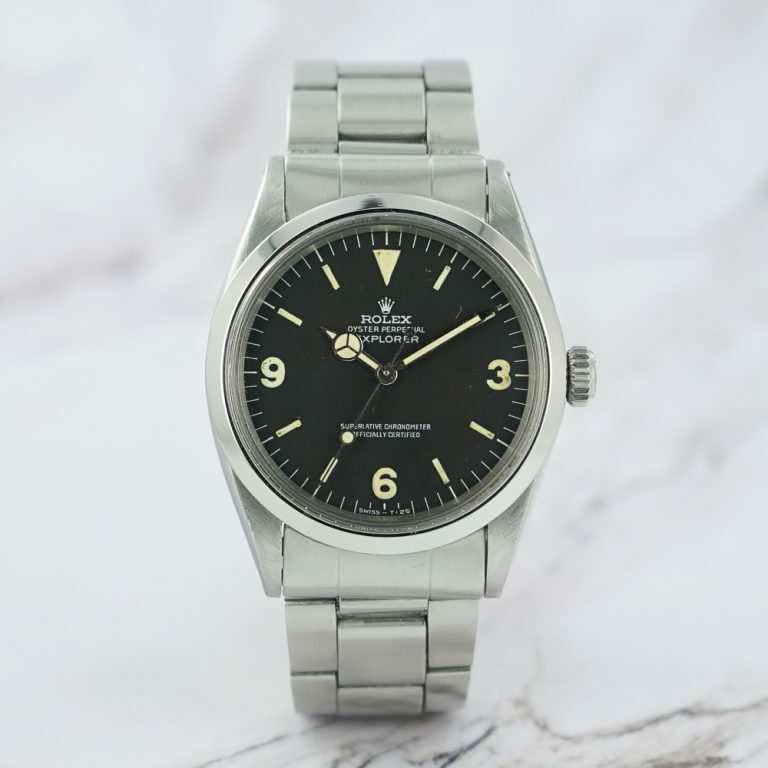 Originally created for adventure and action (climbing the Everest, sailing the Amazon, rocking the boardroom…), the Explorer is the at the junction between dressy and sporty Rolex watches. A perfectly balanced 36mm diameter with a slim profile will make it totally appropriate under a crisp shirt and a suit, while its black dial with bold 3-6-9 indexes will give the badass touch. This example from 1968 features an early matte dial, so called Mk 1 and easily distinguished thanks to the typical shape of the Rolex crown. In mesmerizing condition, it is best paired with its period correct folded oyster bracelet, but won’t say no to the rough feel of a rugged italian leather strap. Overall condition is excellent. Dial is in perfect condition and shows a nice tritium patina. Case is thick and in excellent condition. Plexy has been replaced in a recent service. Movement has been serviced and runs great.